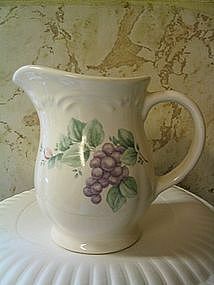 Pfaltzgraff creamer in discontinued pattern. There are no chips, cracks, breaks or paint loss. Salt and pepper shakers are available for purchase. I need your zip code to calculate the postage. 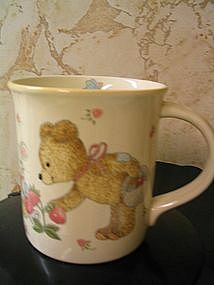 I can't find the name of this pattern and have spent hours trying to find information on it. 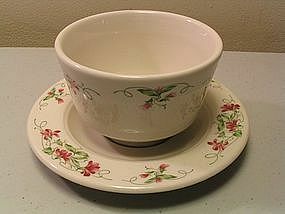 It is the Seville restaurant ware, and date coded GGD. There are no chips, cracks, breaks, or paint loss. I do not see any utensil marks. If you have any questions regarding this set, please email. I need your zip code to calculate the postage. Creamer is 12 ounce capacity and 4 1/2" in height. No chips, cracks, or breaks. I see no paint loss. 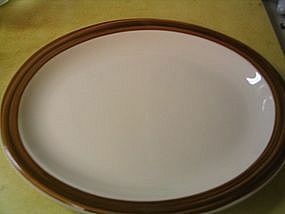 Dinner plate with no chips, cracks or breaks. It has light wear. 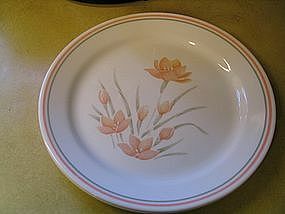 There is another dinner plate with a tiny flake on the rim and is priced @$5.00. I need your zip code to calculate the postage. 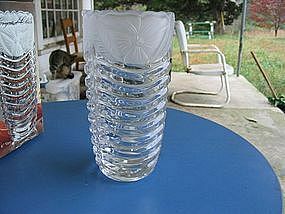 Crystal vase measuring 6" in height and manufactured in Germany. The box is marked 24% lead. Free of chips, cracks, breaks or scratches. Will need your zip code to calculate the postage. Discontinued pattern. 12 ounce with no chips, cracks or breaks. No paint loss. 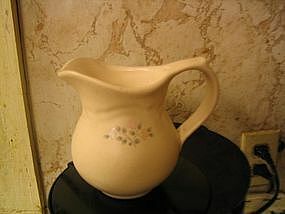 If you have any questions regarding this creamer, please email. I need your zip code to calculate the postage. Dinner size measuring 10 1/4 inches in width. There are no chips, cracks or breaks, but has light utensil marks. 3 plates available and priced individually. Salad plate is also available. I need your zip code to calculate the postage. Made by Shakers & Thangs of Texas. 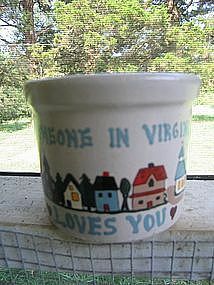 It has a little over 8 ounce capacity and is 3 1/2" in height excluding the lid. I've had them for a few years, but they can't be considered vintage. They have no damage and the interior is clean with no odors. The lobster decals do not seem to have any loss of paint. 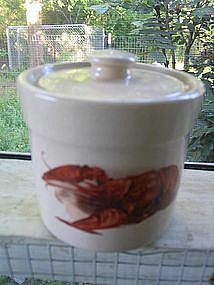 Great for storage of loose spices. If you have any questions regarding these items, please email. 2 are available and priced individually. I need your zip code to calculate the postage. 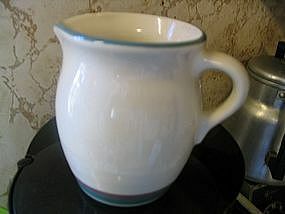 3 1/2" mug with no chips, cracks or breaks. Mikasa id # CC018 The finish appears to be intact. I need your zip code to calculate the postage. Very heavy platter measuring 11 3/4" x 9 1/4" I have photographed the backstamp, but I don't think there is a date code. 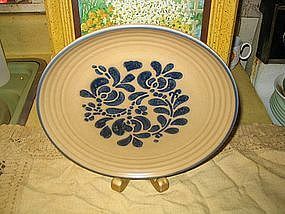 I do not know the age of the platter - I've had it for a couple of years. There are little if any signs of use. Email any questions regarding this platter. I need your zip code to calculate the postage. 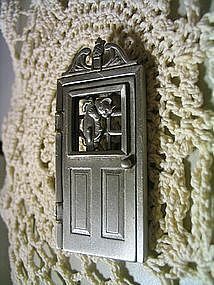 Brooch in the shape of a door with a dog and cat. This pewter pin measures approximately 2 1/2+" x 1 1/4 inches. There appears to be a tiny manufacture flaw, which I never noticed until the close-up photograph, just above the cat's head, otherwise, there does not seem to be any problem with this piece. If you have any questions regarding this pin, please email. I need your zip code to calculate the postage. This is the 20th edition snowman version. No box. No dings or scratches, but has tarnished. If you have any questions regarding this item, please email. I need your zip code to calculate the postage. 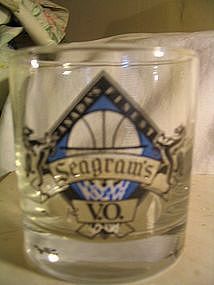 This glass is marked as Canadian Club Classic. 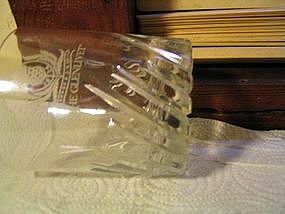 It has a heavy pentagon shape base with logo in the bottom. It measures 3 1/2" in height and is without chips, cracks or breaks. One side has a few small superficial scratches. Any questions, please email. I need your zip code for postage calculation. 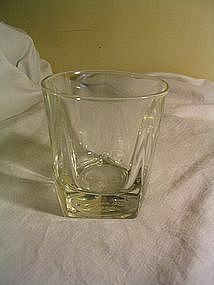 Heavy based 8 ounce glass. No chips, cracks or breaks. There does not appear to be any damage to the finish. Email questions. Need zip for postage calculations. 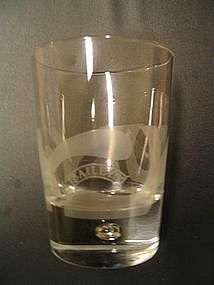 Heavy based 8 ounce glass. No chips, cracks or breaks. The finish appears to be without problem. I am sorry for the poor photo. I need zip for postage calculation. I don't know who made this 6 ounce+ glass, but it is wonderful. It has a heavy base almost 1" thick. 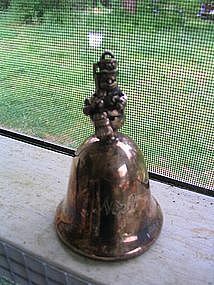 It measures 4 1/4" in height and 4 1/8" across the top. There are no problems with the glass or the finish. 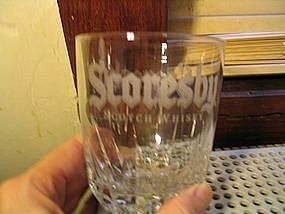 If you have any questions regarding this glass please email. 2 are available. I need your zip code to calculate the postage. Nicely weighted Libbey Glass manufacture. It measures 3 1/2" in height and 3" across the base. No cracks, chips, scratches or loss of enameling. There are 2 available and priced individually. I need your zip code for postage calculations.